I have a confession, falling and staying asleep is and has always been a real challenge for me. To be honest, I stayed awake for a good deal of my childhood, adolescence and even till this day I still struggle on and off with sleep. When I look back over the last 3 decades I can see now that the times I was the most well rested were also the times that I was the most healthy and comfortable in other areas of my life. I am not sure which one came first... but the more I look into it, I am realizing that sleep is the cornerstone of a healthy physical, mental & emotional life. So why don't we prioritize it more? While this post isn't meant to diagnose why anyone is not sleeping enough, I suspect that most of my insomnia in the different stages of my life can be linked to poor diet, false light, television, stressful home environments and not having an evening routine to help me fall asleep. Another aspect came from an actual desire to stay awake past my body's natural need to go to sleep. To me the cause and solution for insomnia is one and the same. A holistic approach that touches on all areas of life but is still realistic enough to put into practice. Improving my sleep has improved every area of my life. The more rested I am the less weight I hold on my body, the better I eat, the more exercise I am able to get, the more prolific I am able to be creatively, the more people I am able to help and the healthier and more positive my relationships tend to be. Being rested is a key component to showing up to life as my best self. I can look back at my darkest hours in my life and know that my sleep was definitely a contributing role in the process. With that said, I still have sleepless nights, I am just an excited person. Getting super excited about life sounds fun, but in reality it can be a major strain when it comes to shutting down my brain. Because of this you will also find that I've included info for feeling rested even when a full nights sleep is not an true option. Overall, this list works for me. I don't think its necessary to always use every suggestion on the list and there is no particular order that they need to be followed. You will find some of the suggestions that I have included will need to be implemented over time. Some are more of a quick fix for when you suspect you might not be able to fall asleep. Overall, the items on this list have changed my life and I hope that they might do the same for anyone who is in need of a little more rest! Way before I had a spiritual practice this was my go-to to help me unwind before bed. You can add epsom salt to a bath (when you only have about 15 minutes left to soak) or other relaxing herbal mixes. No Bathtub? 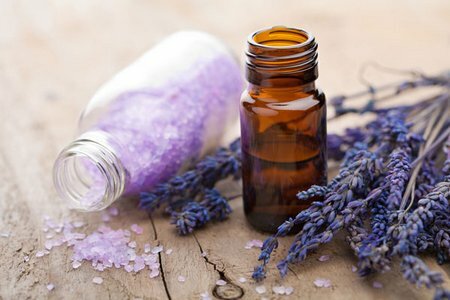 No worries, just add a couple drops of eucalyptus or lavender oil on your shower floor and enjoy an evening spa oasis. Both of these options will help to restore your body and release tension. This practice is especially helpful for those of us who sometimes can't sleep because of physical discomfort. Take your evening bath/shower by natural candle light and you will thank me later. Yes, I want you to romance yourself to sleep. A note for Evening Bathing: Empaths and people who tend to bring the stresses of work home with them can greatly benefit from this practice. You might also want to spend a moment or two under cold water to feel all stress and tension from your day clear off, then proceed with the hot portion of this evening ritual. I recommend using Lavender essential oil in a diffuser, spraying it on your pillow or even buying an eye pillow with Lavender inside of it. This soothing scent helps to calm the mind. It also activates your crown chakra which allows for a trusting connection to ultimate truth. When we are here (connected to Truth) we stop trying to figure out, worry about and solve all the problems of our daily lives. We instead just trust and rest in the knowing that everything is happening as it should, let it all be and well, SLEEP! I am sure you knew this one was coming. Restorative Yoga is one of the biggest blessing in the world when it comes to being an insomniac. The main reason I am so dedicated to offering this practice to the public is because it has saved me on many sleepless and hard to turn it all off nights. Having a few restorative postures memorized that you can rest into before bed will truly help your body release tension, relax your mind and best of all you will also be helping your over all circulation and flexibility. Doing about a twenty minutes of restorative yoga postures along with slow mindful breathing about a half hour before bed is a game changer. One of the periods that I got the absolute best sleep in my early 20s was when I spent a couple months of a summer sleeping in my mom’s basement. There was zero artificial and very little natural light. It honestly was a game changer. I for the first time in my life realized that I COULD sleep, if under the right conditions. Today I do my best to replicate that with Blackout Curtains, Regular Curtains and Side Lamps that dim so I can read a bit before bed (light reading before bed also helps me fall asleep). Even the street lamps register as sunlight to the body. So try your best to make it clear to your brain that its time for bed. This will help the sleep process kick in naturally rather than forcing it with substances. A note on Bedroom Vibes: According to Feng Shui you also do not want to have your head positioned directly under a window as it creates a little too much alertness when trying to sleep. Instead you want to position your bed on a solid wall that is easily to get in and out of. It is nice to also make sure you have calming colors in your room that invite a relaxing energy as soon as you enter. 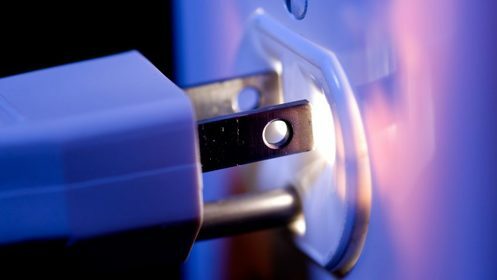 You want to make sure that anything that has a lot of energy is not positioned too close to your bed. IE, computers, tv's, plants and lights should be off and/or position further away from your sleep area. Scrolling through your newsfeed before bed is terrible for sleep. First, we tend to not realize how much time we are wasting on all these social apps. Second, the false light registers to your brain as sunlight. Third, it sometimes triggers emotional responses that create anxiety and stress which make it hard to sleep. And finally… just NO, don't do it! I recommend having a hard cut off for all electronics at night. Even the buzzing sound from your computer is stimulating your brain (even if you don't notice it). Don't have electronics near your bed. If you are using your phone as an alarm try putting it on airplane mode across the room. I think about a half hour before bed is a good cut off for your phone, computer and tv. A note on setting Alarms: If you can allow your body to awaken naturally always do! What I often do is set my alarm for the latest time I can possibly sleep until. I will often wake up before this and if I have enough time I will do all the extras like Journaling, Meditating, Going to the Gym... you name it. However, I do my best to make sleep the number one priority! I’ve quit coffee enough times to know that I am not interested in letting it go. It's just so yummy and I love the morning ritual of it. So rather than beating myself up about it, I have come to understand how to drink it responsibly. The main thing to keep in mind when drinking coffee or consuming any stimulant is how long you will need for it to wear off so you can get a good night's sleep. Typically for me, if I keep my coffee use to the morning, I see no trouble with my sleep. On more groggy days, I may let myself have another later in the morning but try to never go past noon. Anything after lunch is in my mind potentially borrowing from tomorrow's energy levels. If I do need an after lunch pick me up I try and go for a low caffeine tea. Yoga, Pilates, Cardio, Weightlifting and other exercises that help release excess energy in the body are great if done a little earlier in the day (not too close to bed time). The only thing is, you want to make sure that you are leaving enough time to get a full nights sleep before you exercise. In other words, If you only got 5 hours of sleep and are deciding the get up to go to the gym rather than sleep a little longer, the healthier choice might actually be to keep sleeping. We don't want to drain our adrenals. So make sure you are listening to your body. Exercising 3 times a week will have incredible impacts on all areas of your life. Just make sure to schedule the exercise on days where you are rested. If you are an insomniac like me this might be a tall order, so I would recommend Lunch time exercise on these days (a gentle class or maybe just a walk on you lunch break). That way you can sleep in and not exhaust yourself. I would only do light exercise in this case as well. Cardio & Yoga are low impact for the most part, I wouldn't try to beat your record on a day after a mostly sleepless night. A note on Exercise: Seeing exercise as a necessity for your overall health of mind, body and spirit is important. When you see exercise as a punishment we are less likely to do it. Please try and find physical activities that bring you joy! Try a bunch of different things and maybe settle on 3 different go-to activities that you can do throughout the week. Eating a Dynamic Diet filled with nutritious whole foods will improve your sleep. Make sure that you are paying attention to how certain foods impact your state of mind and overall physical energy levels. If eating sweets before bed is keeping you up at night try to have them earlier in the day (or cut them out). In addition to eating a healthy diet you want to try and not eat right before bed. Give your body a couple of hours to kick in the digestion process before you attempt to lay down to sleep. Typically 3 hours is a good rule of thumb. If you need to eat right before bed try to choose easily digestible and bland (no super spicy) foods like soups, kitchari, or roasted veggies. I would still at least wait an hour before laying down to sleep. lso, keep in mind that going to bed hungry is not a good idea either. A hungry tummy will make it harder to fall asleep. Your body is programed to stay alert when it is hungry, survival 101. So please make sure you are getting enough nutritious calories throughout your day. A note for Healthy Eating: Try focusing your attention on to adding more healthy plant based options rather than worrying about what to cut out. The more of the good stuff you begin to consume the less you will desire the bad stuff. Our body/mind doesn't respond well to deprivation, so especially if you are an insomniac, I do not recommend a cold turkey approach. Just instead choose as many healthy options throughout the day as often as you can. Being well rested will also help to cut unhealthy craving. Cultivating a daily practice of meditation and or having some sort of daily gratitude ritual can transform your perception and overall experience of life. When we start to realize that our perspective has a real impact on many of the circumstances we are faced with in our daily lives, we are able to feel a little less powerless. This in return, at least for me, has made it a lot easier to sleep over the years. When I started to realize that life wasn't just happening at me while I attempted to pick up the pieces, I started to find a more hopeful and productive outlook. I often tell my clients to meditate and it's not exactly what they want to hear. So if you feel like, meh, nah… I'm not gonna do that. Try doing a daily gratitude practice for now. This can be just waking up and listing a few things your are grateful for, Or verbally saying thank you whenever you feel gratitude. Once you get to a point where you find a deep acknowledgment for what you are grateful for (this can take minutes, days, weeks... no worries), I invite you to take a tall seat in the most beautiful area of you home and just focus on your breath. While you breathe just allow yourself to sit in your gratitude. It's best in my opinion to do your Meditation/Gratitude practice when you first wake up and before your go to bed. Sometimes I do this while laying down in bed if my sleep was rough the night before. However, if I wake up feeling rested, I pull out my meditation cushion and soak up my blessings via mediation. Evening meditation is best ended at least a half hour before bed as sometimes, at least for me, it can ignite powerful energy within the body and you might need some time to let it simmer down before actually falling asleep. This daily practice can range between one or two 5-20minute sessions. A note on Meditation: Keep it pleasant. If it feels like your in time out… then get up and move on. I also recommend creating an altar of some kind (even just a pretty plant) and lighting a candle and/or and incense of some kind to make it feel super potent and special. There is something so powerful about intentional sitting. Also, music helps. Try it! If you have taken my Reiki Restorative classes you know that I end just about every session recommending that you leave and drink plenty of water and then journal before bed. Journaling before bed is a powerful tool to help you release the stream of consciousness you are carrying around with you. The idea is to dump out all the busy thoughts so that you can get a good nights sleep. I’ve been taught over the years that, if you are going to bed with all your stress and worry, your dream time will just be you working out and reliving that stress and worry via your dreams. However, if you do your practices, and you release before you go to sleep your dream time can be a time where you do your deeper spiritual work. Wouldn't you much rather meet with spirit guides, loving relatives and ancestors with beautiful messages than live out a stressful work exchange while your sleeping? Well, it all starts with letting yourself free write in your journal before bed and when you wake up. 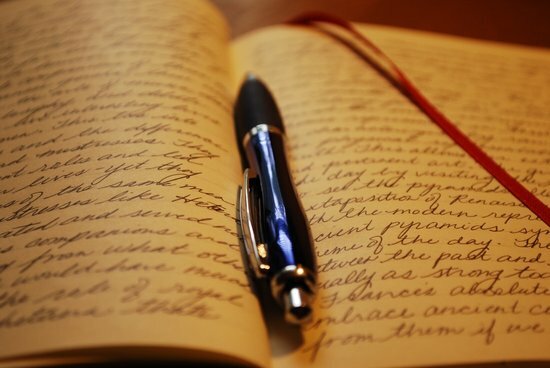 Journaling in this way is an invaluable practice that will help you focus and manifest in all areas of your life. A note on Dream Journaling: Your morning journal can be almost like note taking from the night before's sleep. Your evening journal is your time to let go of what doesn't serve your higher self and even a time to set dream intentions. This is how I am most effective at having incredible experiences with things like astral projection and healing through time and space. Dream time is a spiritual tool that should not be overlooked. I definitely recommend drinking chamomile tea if you have trouble sleeping. I would use it alongside with other items from this list. As I mentioned under the journaling list, dream time is a powerful spiritual opportunity to do deep work, so I don't recommend taking medications and supplements that will hinder your ability to dream. For me, even melatonin has side-effects that I would rather avoid. However, if you have a big day the next day and can feel your insomnia symptoms kicking in, do take a small dosage if needed. In general though, try and go the natural path so that you are not borrowing from your future. Your body wants to run at optimal levels. Rather than treating it like its broken and needs and outside solution, try and treat it with love and nourish it with proper care and you will be amazed by how incredibly well it responds. Sleep is an essential part of our daily lives. To truly have fun and enjoy your life to the fullest you much respect your bodies needs. Once we start to understand that our lives are a holistic experiences and that our bodies are not separate from our spiritual, emotional and mental life we start to experience more harmony. I would love to hear about your sleep experience and if any of these steps help your process.